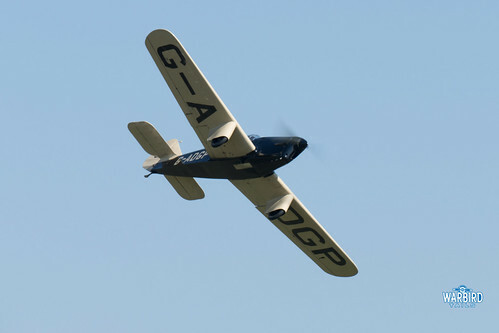 Miles is a name that synonymous with British aviation, particularly in the 1930s and 40s. Their characteristic touring and training designs led to the company being a prolific manufacturer during the interwar years. Strictly speaking, the Miles family of aircraft began back in 1929 with the little Southern Martlet, though the M2 Hawk, would form the initial basis for the company’s success. Flying in 1933 the Hawk bucked the trend of the time by being a monoplane, with foldable wings. These early designs were two seat, tamden machines, powered by Cirrus III engines. A year later, the Hawk Major followed. This saw the design receive an upgrade including the inclusion of Gipsy III engine. The initial prototype of the Hawk Major saw limited racing success, which led to a specific racing variant being produced. 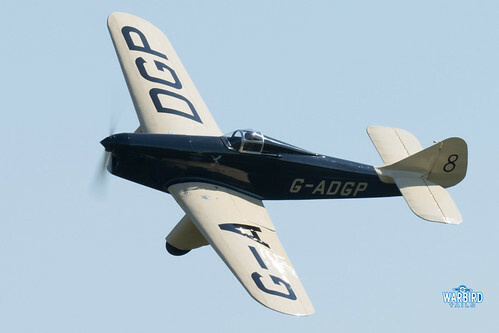 Known initially as the Gipsy Six Hawk, the airframe featured a streamlined, single seat profile and a 200hp engine. The airframe would later become known as the Hawk Speed Six and would go on to see plenty of racing success. 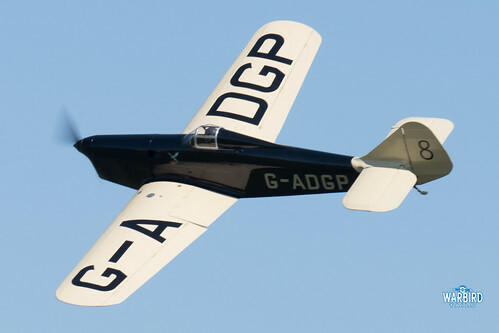 Speed Six G-ADGP started life as a Hawk Major before this coversion and as can now be seen now sports a distinctive bubble canopy and streamlined spats. The airframe first flew in 1934 and took part in the first of many Kings Cup races in 1935. During the war the airframe was stored and eventually returned to Miles for a short while until being acquired by Ron Paine in 1948. Paine would go on to fly the Speed Six in many races including countless Kings Cup appearances. 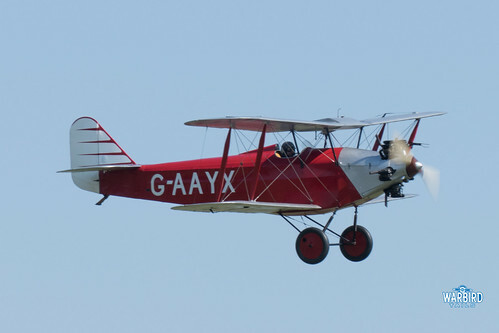 Following Paine’s sale of the aircraft in 1968 it passed through several owners, including 20 years spent with the Shuttleworth Collection at Old Warden, before a move to White Waltham. 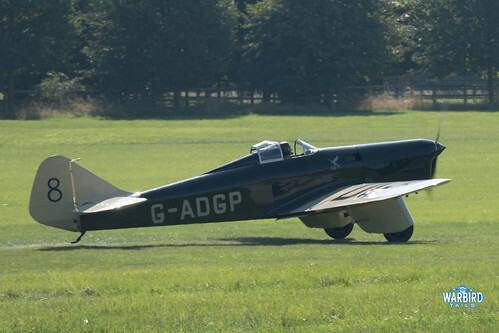 In early 2018 it was announced that the Speed Six had once again been purchased by the Shuttleworth Collection and after a short period of maintanence the Speed Six returned to display flying at the collection’s family event in August 2018. 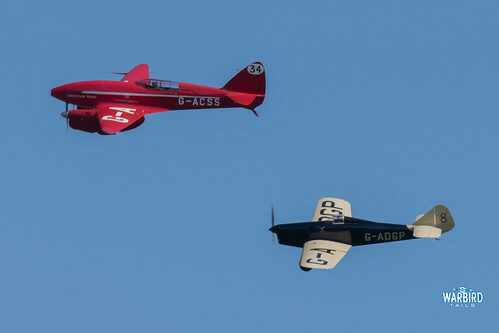 This now offers the regular opportunity tossed the Miles racer perform alongside icons like the DH88 Comet, Percival Mew Gull and Comper Swift. The Speed Six is noticeably less refined than the Mew Gull or the Comet, clearly being an adapted airframe, rather than a pure racer. It dwarfs the Mew Gull when the two fly together with those large, square wings, yet once the airframe is wound up into a display, it becomes something truly special. The cream and black colour scheme highlights the lines beautifully. 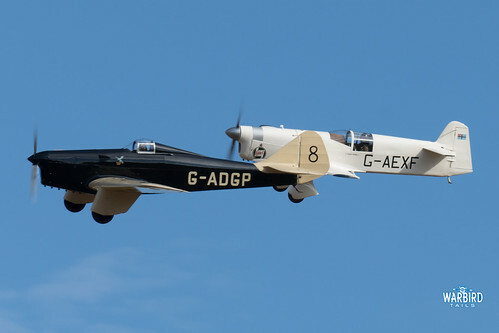 The airframe’s solo display at the 2018 flying proms event will live long in the memory. It also shares that fantastic “crackle and pop” that the Mew Gull has made so familiar over the past few years. The Speed Six is another remarkable airframe from an era where these machines were simply built for the joy, the pursuit of Speed and the desire to simply fly the furthest and the quickest. The peacetime designs are often regarded as purer machines and the Speed Six certainly follows that trend.